Swarm Fund is the blockchain for private equity. Swarm is creating a unique market infrastructure built on blockchain technology that enables investing cryptocurrency into real assets and deploying traditional capital into crypto markets in a new way. Swarm is built for: ​Crypto Investors who want to de-risk their portfolios, Family Offices looking for a more efficient way to invest into crypto and alternatives, and everyday retail investors searching for access to opportunities that were not accessible before. With a legal and regulatory framework compatible with institutional investors, automation to remove middle men, and prioritizing access for all, Swarm can streamline and help double the Private Equity industry from $2.5 trillion to $5T+ in the next five years. 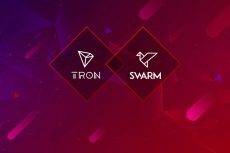 The partnership between Tron and Swarm will offer asset providers a possibility to issue security tokens on the Tron network. 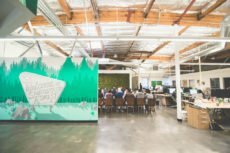 Ahead of traditional public listing, the Swarm platform enables institutional investors to reserve their stake in a fund created for the purpose of holding equity in Robinhood.